The SMOK RBA coil is designed for Spirals tank. It comes with a single coil deck. With it, you can build your own coils. Get it as a spare part. 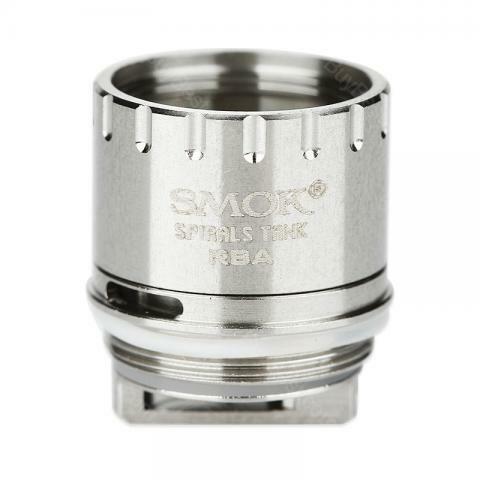 SMOK Spirals RBA Coil is designed for Spirals tank. It comes with a single coil deck. With it, you can build your own coils. Get it as a spare part. • It's for SMOK Spirals Tank/ Spirals Plus Tank. I have always received quality and authentic products from buybest. The spirals tank and these coils are great for flavor, and not bad cloud producers. A tank can last me a while and not kill my batteries. It took me a minute to get used to the smaller air flow, but it really isn't bad, I was just very used to large air flow slots. SMOK Spirals RBA Head With Resistances of; 1: 0.6ohm Spirals Dual Core; Resistance 2: 0.3ohm Spirals Dual.